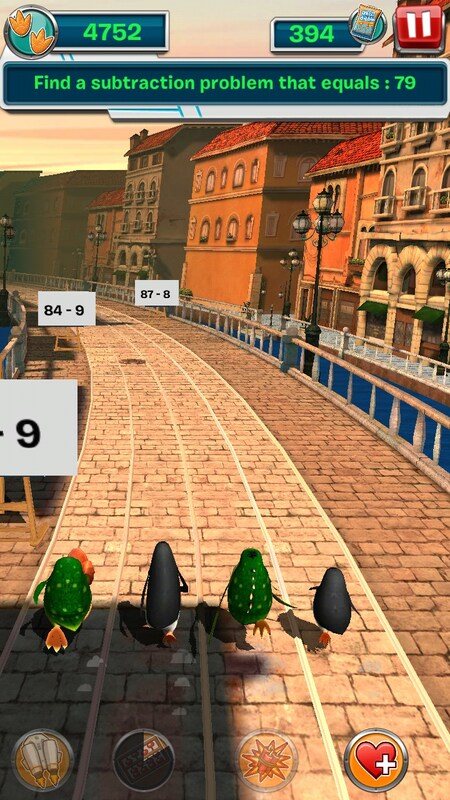 Penguins: Dibble Dash – Games for Android 2018 – Free download. 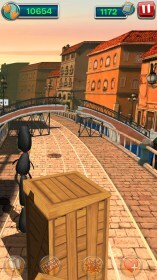 Penguins: Dibble Dash – Join Skipper, Kowalski, Rico and Private, and guide them in their mission. 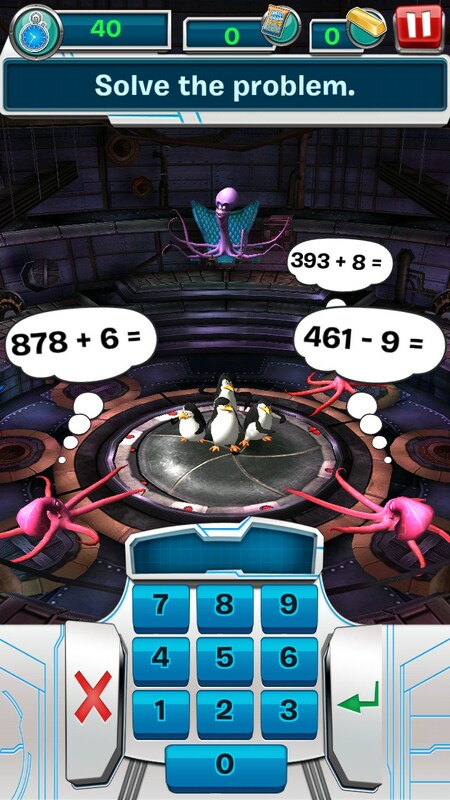 The Penguins of Madagascar have become a huge sensation. 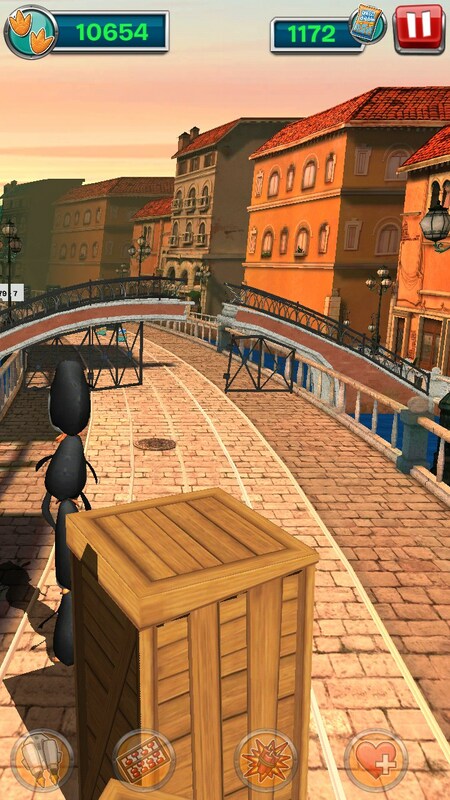 So it is no surprise that after getting their own animated series and their own standalone movie, now they are getting their own video games. 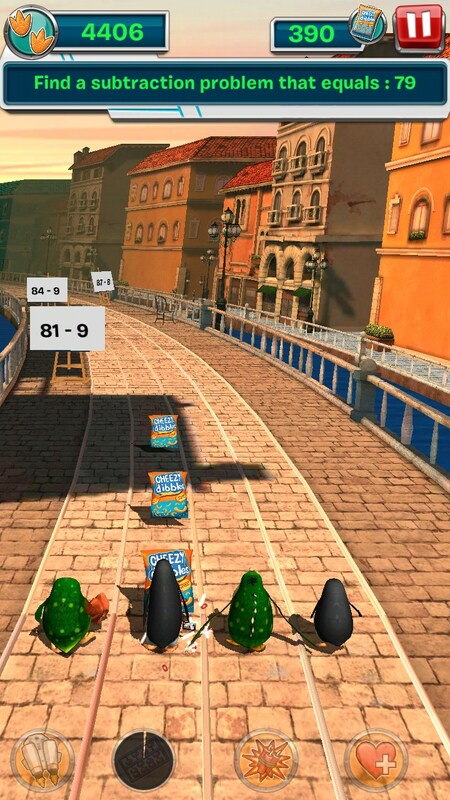 Penguins: Dibble Dash for Android is a rather unique infinite runner game whose protagonists are everyone’s favorite penguins; out on a mission to retrieve as many bags of Cheesy Dibbles as possible. 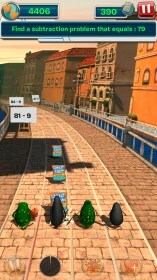 The main part of the game plays like most infinite runners, relying on swipes to control the main characters and avoid obstacles. 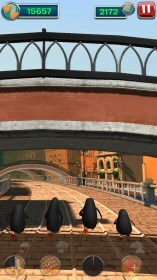 Since we have four protagonists, each one occupies his own lane on the track and they move as one, finely tuned, penguin unit. The game uses the four penguins we’ve all come to know and love to create a series of unique mechanics, such as having the penguins stack on top of each other in order to avoid obstacles. At certain intervals a trap will be sprung on our heroes, and the only way to escape it is to use the awesome power of mathematics. 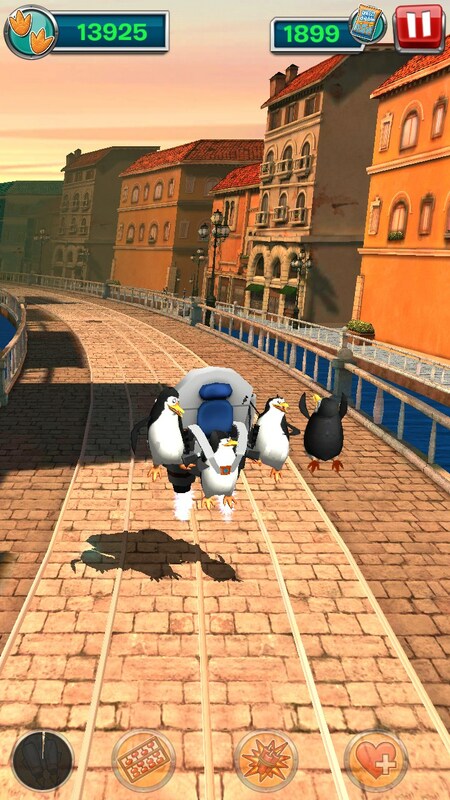 Hitting obstacles and falling behind will eventually lead to one of the octopus henchmen catching up to the player and mutating one of the penguins. 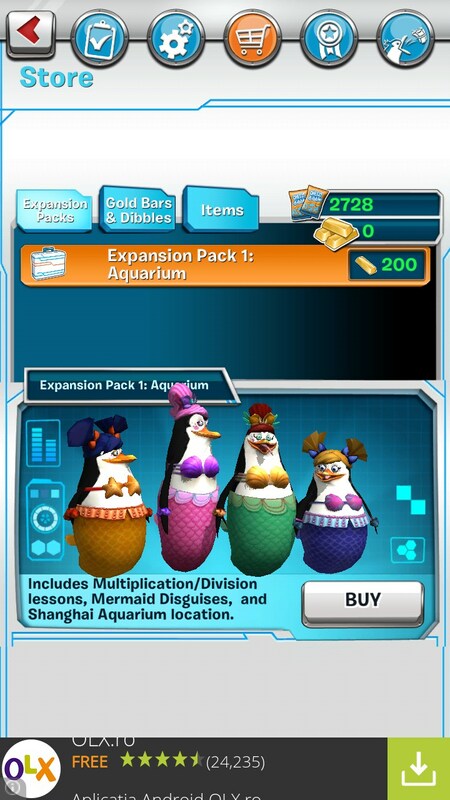 When all the penguins have mutated, the game ends. 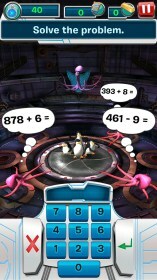 Players have access to various power-ups such as Kowalski’s math skills that will solve a math puzzle, or Skipper’s jetpack that will speed up a part of trip. 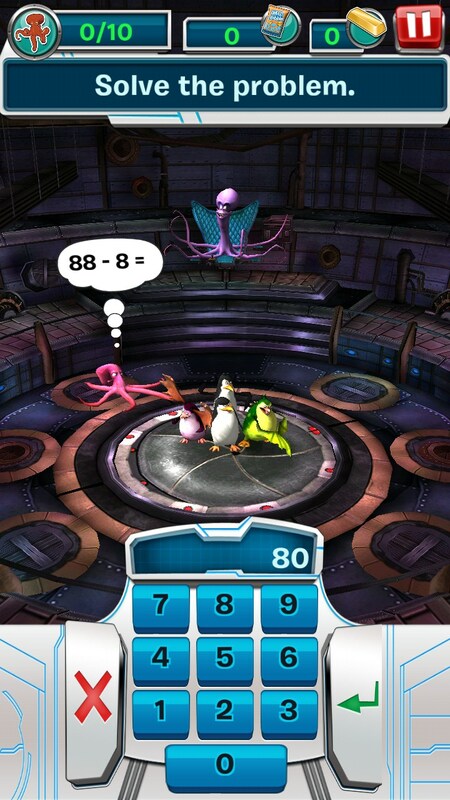 Overall Penguins: Dibble Dash is a game aimed mostly at children, due to the the simplistic gameplay coupled with the mathematical puzzles that the game incorporates. 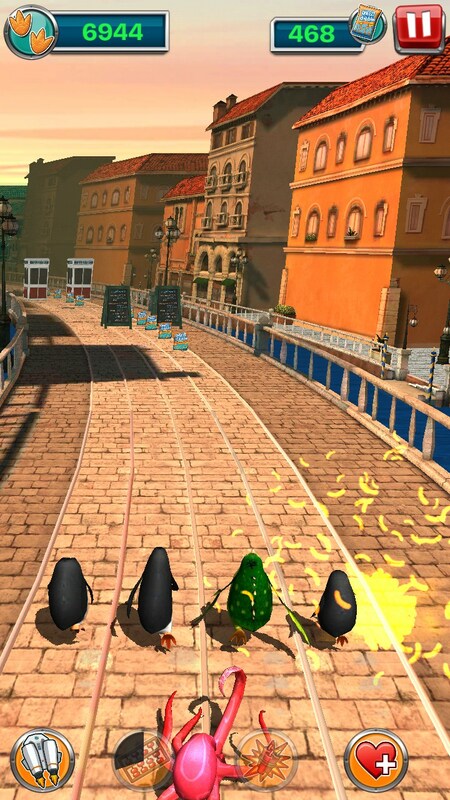 However players of all ages can find plenty of enjoyment in guiding the lovable penguins as they avoid obstacles, escape the octopus henchmen, and collect as many Cheesy Dibbles as possible. "Could" hurt? Bwah-ha-ha-ha-ha!!! That's funny!